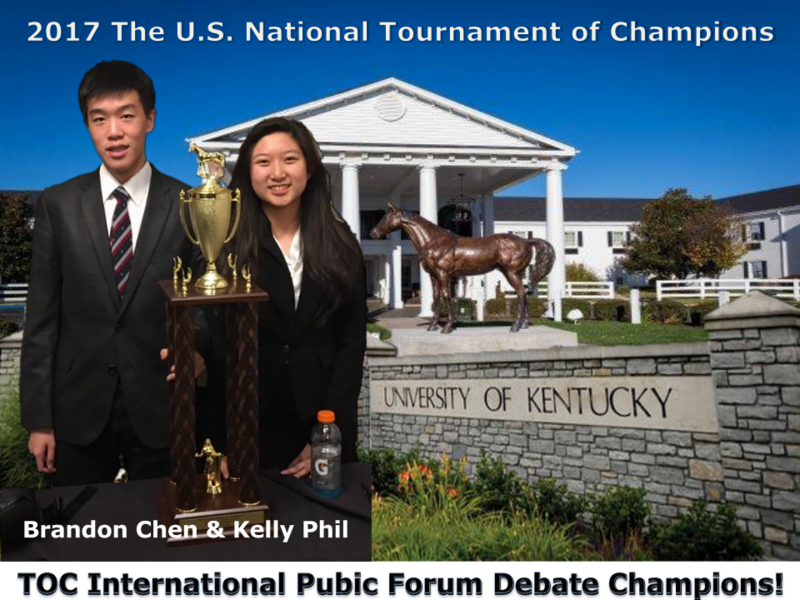 Kelly and Andrew were #1 seed in International Division, and Kelly Phil won two speaker awards – Top #1 Speaker and Top #20 Speaker in the Silver division PF. 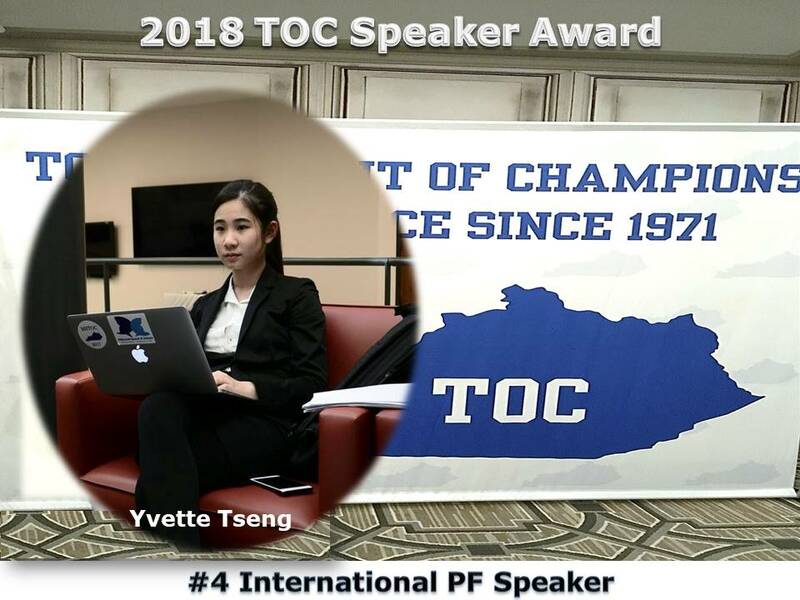 Yvette Tseng & Ethan Tai were #4 seed in International Division, and Yvette Tseng won – Top #4 Speaker Award in International Division. 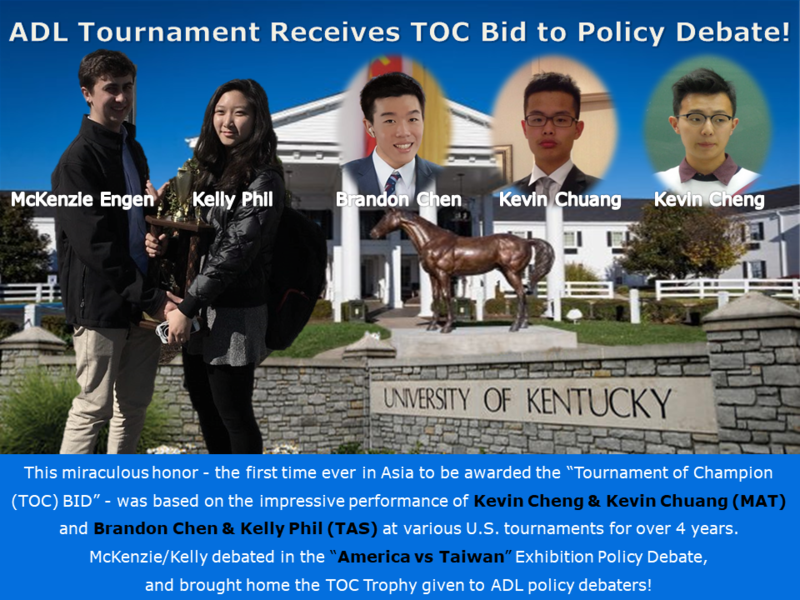 100% of ADL policy debaters were awarded at TOC! Both teams (Warren/Amber and Andrew/Micah) won the honor of semi and quarter finalists in the middle school division!! We would like to thank the dream team policy coaches at ADL – Ryan Engen, Tyler Prochazka, Brennan Schartz, Stefan Bauchard, and Dave Arnett for their spectacular coaching!! 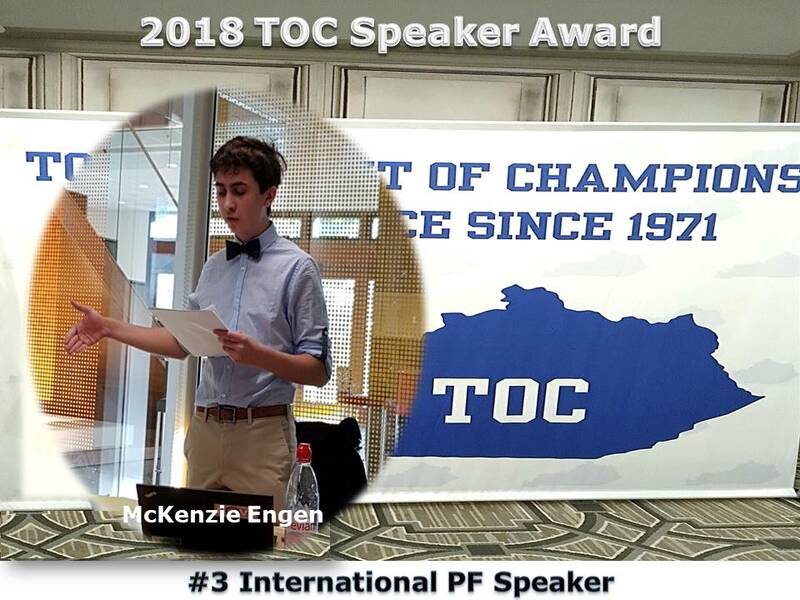 Middle school TOC began in 2017. 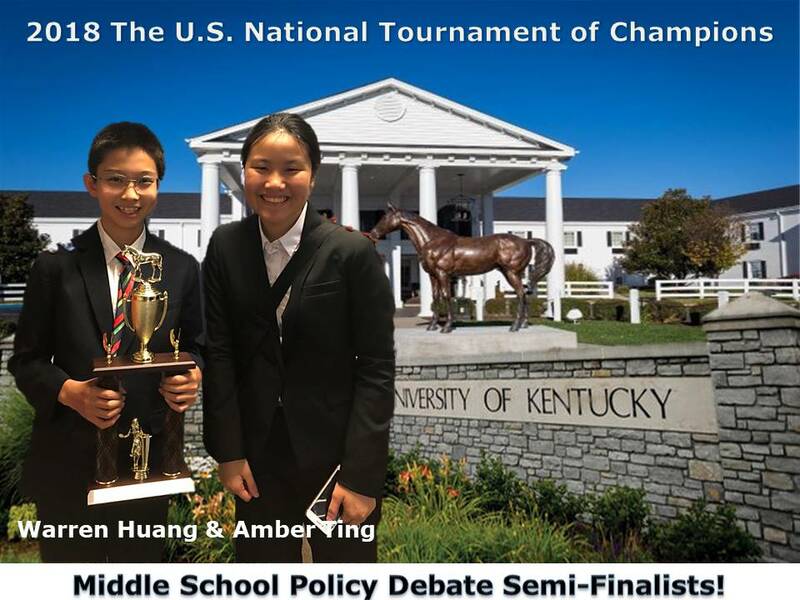 This year (2018) was ADL’s first time to enter in policy debate, and the outstanding accomplishment of Warren and Amber held us spellbound!! 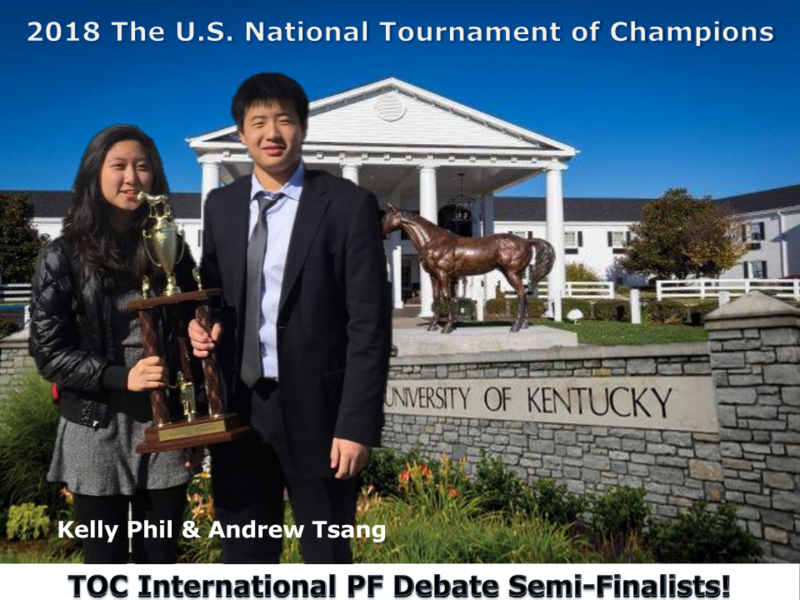 Aside from being a quarterfinalists, Andrew Tsang and Micah Wang were top preliminary seed – 5:0 – won all 5 rounds! 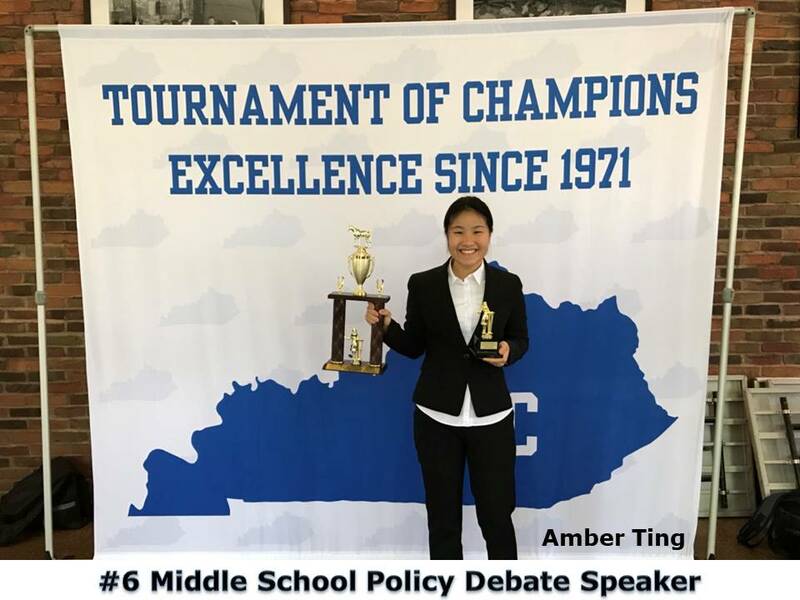 Aside being a semifinalist, Amber was 6th place policy debate speaker out of 74 debaters! 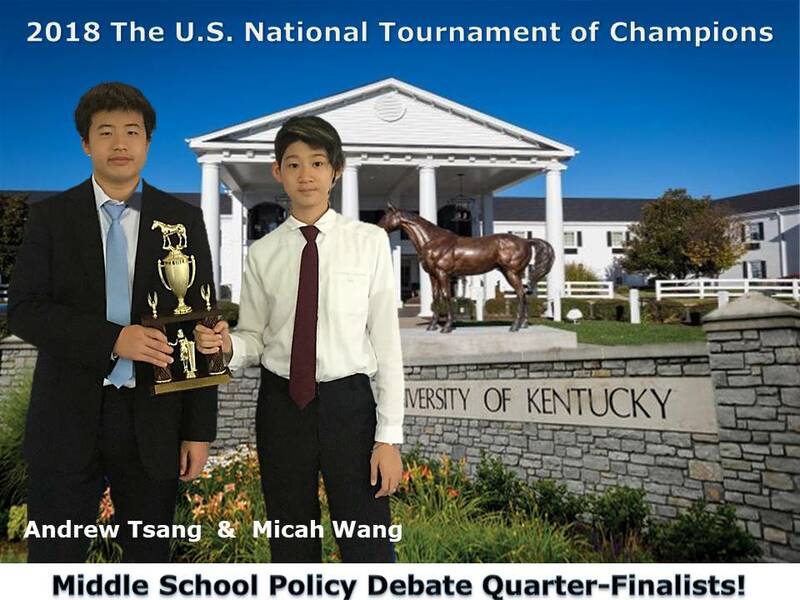 Congratulations to Benson Lin & Eric Chang (both grade 8) from Morrison Taichung! 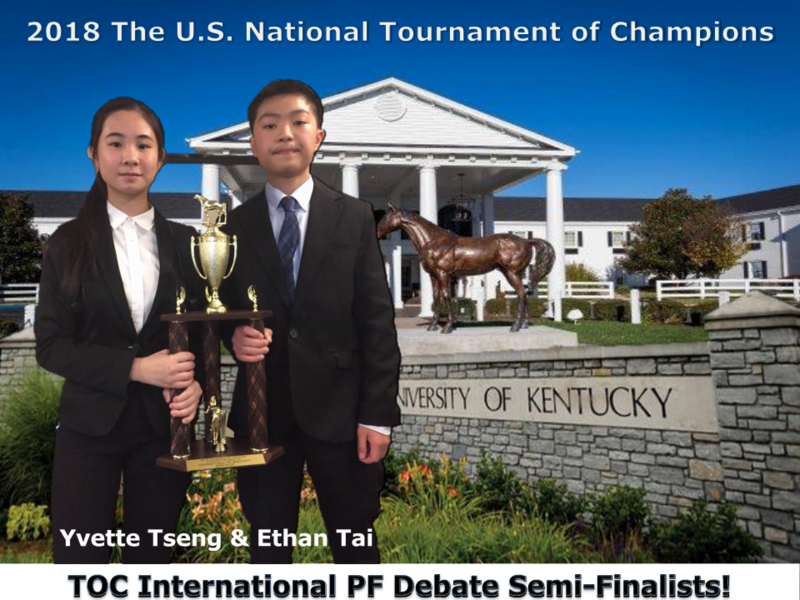 They were one of the ADL trained Middle School Teams since grade 5 and was Rank #2 in TOC Middle School Public Forum Debate Preliminary by winning 5 out of 6 rounds. We would like to recognize and express deep appreciation to three debate coaches who have been training them – Julian Gagnon since they were 5th grade, Mike Girouard since they were 7th grade, and Stefan Bauschard since this semester! Benson and Eric have been receiving training from all three coaches on the TOC topic of Election Reform. –We would like to recognize and thank Mike Girouard (ADL) and Julian Gagnon (ADL).